There’s no shortage of great nightlife options in Mexico City, whether you want to kick back with some smooth jazz in a speakeasy only accessible through a fridge door, or dance the night away at some of the capital’s most notorious and alternative nightclubs. However, if you’re looking for something a little bit off-the-beaten-path – secret, you might say – then here’s our guide to where to drink on the down-low in Mexico City. As Wallace Whisky Bar is regularly considered the best whisky bar in Mexico City, it seems odd to include it on a guide to off-the-beaten-path drinking destinations. However, when so much of travelers’ attention falls squarely on tequila, mezcal and, to a lesser extent, pulque, it’s easy to forget there are other options out there, which causes this homely spot – which offers over 150 labels and some impressive house cocktails – to fly somewhat under the radar. Even if you don’t fancy a drink, you can play pool or darts, and listen to some live music. Helado Obscuro is easily one of Mexico City’s quirkiest and coolest ice cream chains, with locations dotted across the city which will serve you up boozy helados and ice lollies with some of the most ridiculous names you’ve ever heard. Take the chocolate and vodka Dark Vader, for example. However, the Zona Rosa branch is undoubtedly one of Mexico City’s best kept secrets, as the ice cream parlor doubles as a bar. Try the refreshing margaritas, or push the boat out with a My Little Pony shot. Roma Norte is a hub of cool bars, some of which are well-known, whereas others are tucked away in the depths of the crisscross of streets that make up this popular part of the capital. Patio Aurora is one of those less-traversed spots, that hides behind the façade of an enormous Porfirian townhouse and has transformed the leafy terrace into the hipster place-to-be for those in the know. If you’re feeling peckish, they also serve up some great Italian food, which should be accompanied by one of their specialty G&Ts. For something a little less laidback and a little more neon and in your face, then uber-cool Kommä is ideal. You’ll feel like you’ve wandered into a warehouse rave when you enter this Roma Norte bar/nightclub, which is known for great electronic music and a show-stopping spiral staircase centerpiece. 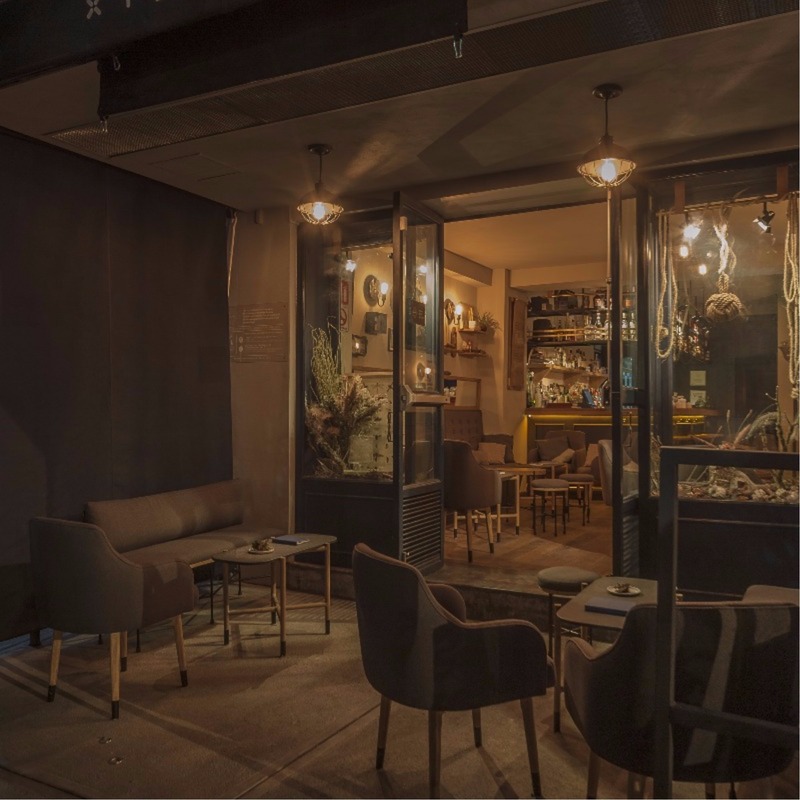 Brought to Mexico City by entrepreneurial team Ready to Die, grab a mezcal cocktail and let yourself be swept up by the atmosphere, the pounding music that goes straight to your core and the edgy décor. If you prefer your mezcal with a side of homebrewed beer, rather than an intoxicating-if-intimidatingly-cool atmosphere, then Felix is the laid back, casual and off-the-beaten-path bar for you. Felix, which is also situated in Roma Norte (are you sensing a trend? ), tends to skew towards the indie rock and vanguard pop scene; so if you’re into music that goes beyond the all too ubiquitous reggaeton and over-commercialized U.S. pop, you can’t go wrong here. Don’t miss their cocktails and light-bites either. Does it get more hipster than a Charles Darwin-inspired, dimly-lit cocktail bar in Mexico City’s Condesa neighborhood? 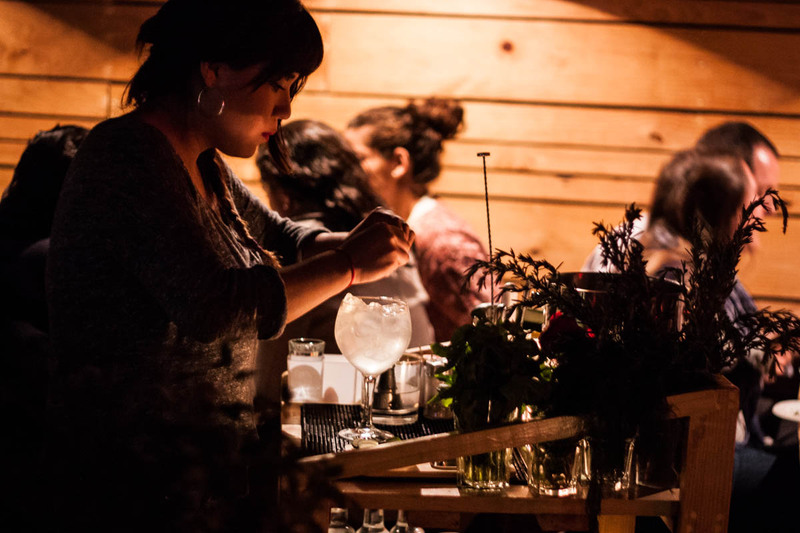 If it does, we’d love to know where, but for now we recommend Baltra Bar as one of the best off-the-beaten-path options for classy cocktails and quirky surroundings in Mexico City. If you weren’t convinced of the level of excellence here, you should know that many of the bar staff honed their talents in the super-famous Licorería Limantour before moving to younger (and cooler) brother Baltra Bar. The initial appeal of Taberna Luciferina all lies in the décor of this listed Porfirian townhouse, from the terrace to the iconic round bar in the center, the ornate and atmospheric light fittings to the comfortable seating areas. The drinks aren’t half bad either, and the cocktail menu is brief but well-curated. Basically, if you want to feel like you’ve stepped back in time and could be hobnobbing with the aristocracy that once inhabited this part of Mexico City, there’s really no better place. Food is also served. Finally, you actually need to get to Fifty Mils before it loses its marginally off-the-beaten-path status, as their bartender Fátima León has just made it through to the World Class Cocktail Competition finals that are taking place this August in Mexico City. Located on the swanky Paseo de la Reforma, Fifty Mils is all velvet chairs and marble bars, and literally oozes class from all angles. So, if you want to get rowdy, go somewhere else – this is a spot for pleasant conversation and even better drinks.